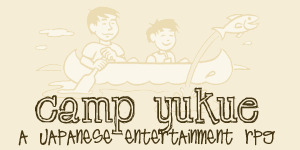 Camp Yukue opened in upstate New York, USA, in the summer of 1955. For 50+ years it has hosted young men's summers, teaching them the essential skills of life and encouraging personal growth. For eight weeks, young men ages 16-19 come to Camp Yukue to explore, discover, and learn - all while in a positive and encouraging atmosphere! When you leave Camp Yukue, your Head Counselors assure, your life will never be the same.